Awwwwwww, yeah! I’ve been waiting for this one! Ahem…What I meant to say was that my child — for whom this shipment was intended — was quite excited by it. The kit had the usual letter, puzzles, and photo that were packed with facts about the country. And as usual, Wyatt enjoyed taking his time reading through the materials, doing the puzzles and putting the various stickers on his suitcase, passport and map. 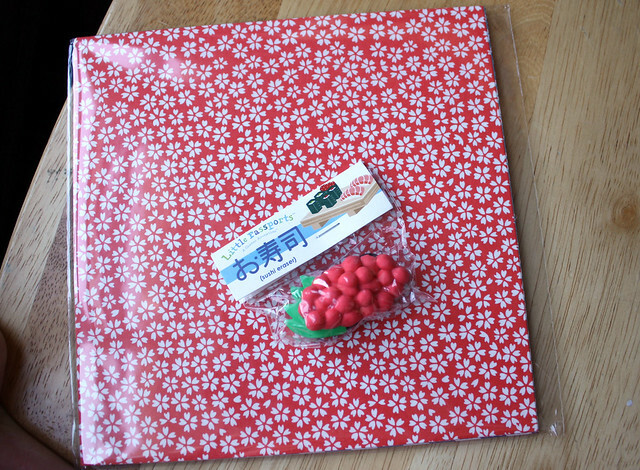 This kit also came with two special gifts: origami paper and a sushi eraser. We haven’t had a chance to crack open the paper yet, but we are both looking forward to learning to make a few origami objects. 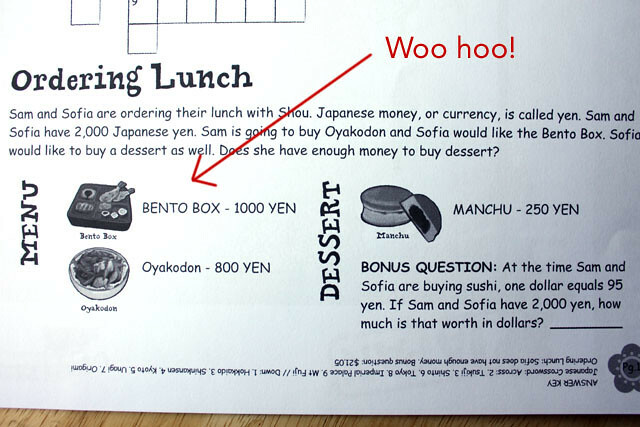 Of course, I had to read the materials to see if they mentioned bento boxes and they did! (Yes, I’m a big bento dork. Who exactly is surprised?) Right smack in the middle of a puzzle question about Japanese food and yen there was a cute little drawing of a traditional lacquered bento box. Woo hoo! Next month we’re off to France! Where would you like to go? 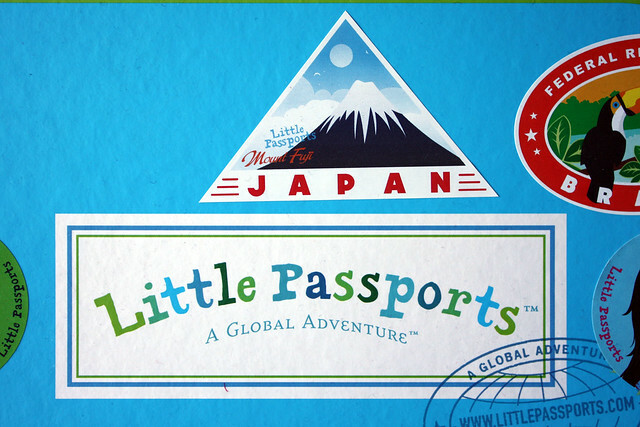 Disclosure: I am a Little Passports affiliate and I will be blogging about the kits I receive from them each month. If you sign up for a subscription, I’ll receive a small percentage of the purchase price. Just keeping it honest!